The drawings of the new entrance hall of the world market leader in safety glass machines cause amazement - for a good reason. 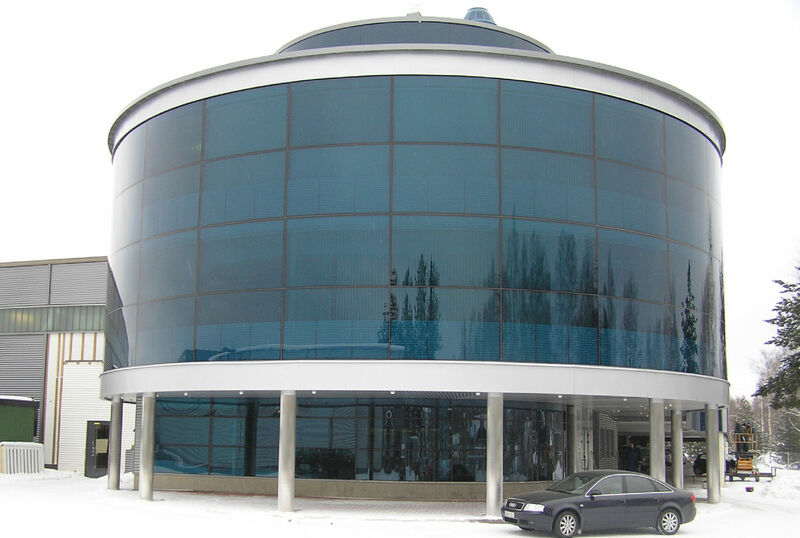 The round shape and glass façade of the building, completed last October, set special requirements not only in terms of structural and architectural design, but also in terms of DELTABEAM® production. According to Sales Manager Tero Ollikainen, who was responsible for the project in Peikko, the Tamglass building serves as a good example of how no problem is too difficult for Peikko to solve. "In this project, every single component has been modelled in advance and shaped into an industrial form. Everything is based on good basic data received from the structural engineer", Mr. Ollikainen says, giving credit to co-operation with Structural Engineer Pasi Hamppula from SuunnitteluKortes, a structural engineering company based in Tampere, Finland. 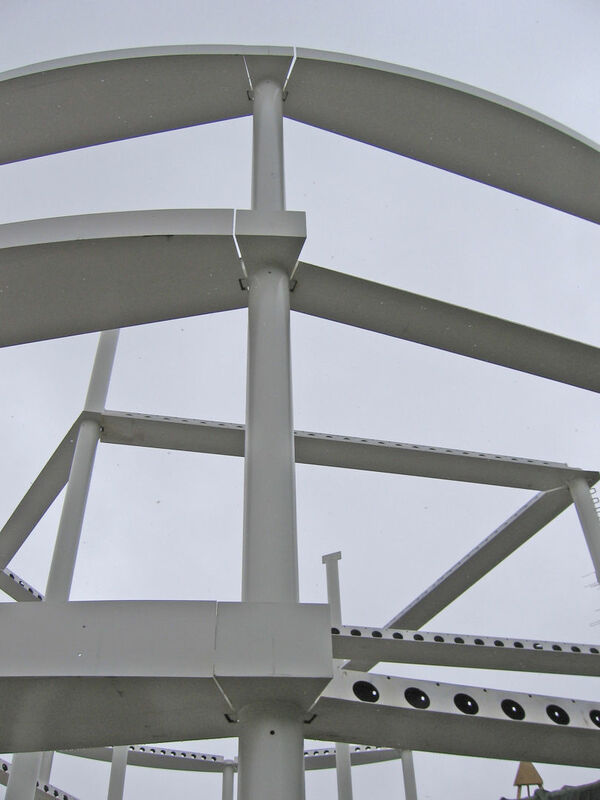 The entrance hall structure is based on steel columns, DELTABEAM®s and hollow core slabs. The intermediate floor is also made of a hollow core slab. The new surface area of the building was about 800 m2. 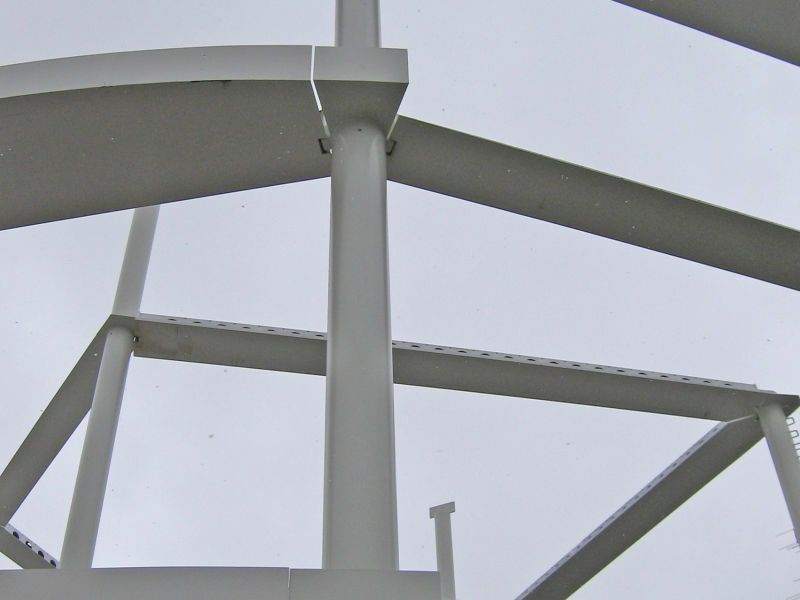 The 40 DELTABEAM®s needed for the site would have been too wide for Peikko's own production, so, after a number of tests the decision was made to manufacture the beams from two components. The beams were joined by welding, after which they were painted with a special paint tested by the glass pane supplier. The paint played an important role in the project, because the combination of paint and glue fixes glass panes into the surface of DELTABEAM®s. "The inspection measurements of the glass panes were carried out on site after DELTABEAM®s had been installed. The dimensions of the beams had to correspond to the calculation with the accuracy of millimetres, because otherwise the glass panes fixed directly to DELTABEAM®s would not have held", Tero Ollikainen comments. 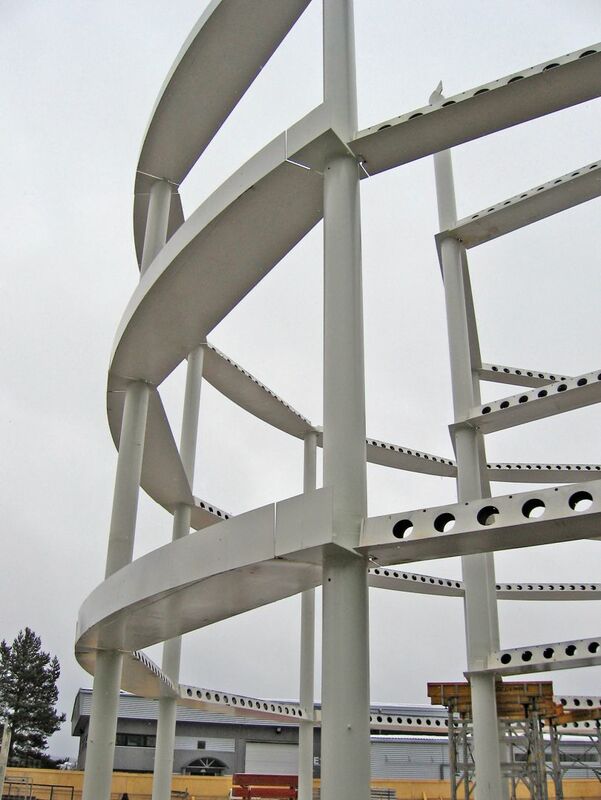 According to Architect Yrjö Majamaa, who designed the building, the cylinder-like round shape was not present in the first sketches of the site. "In the beginning, the idea was to build a new entrance by demolishing a part of the old building. At the first stage, we planned to build a rounded corner to the building. The rounded shape started to transform when more space was required. 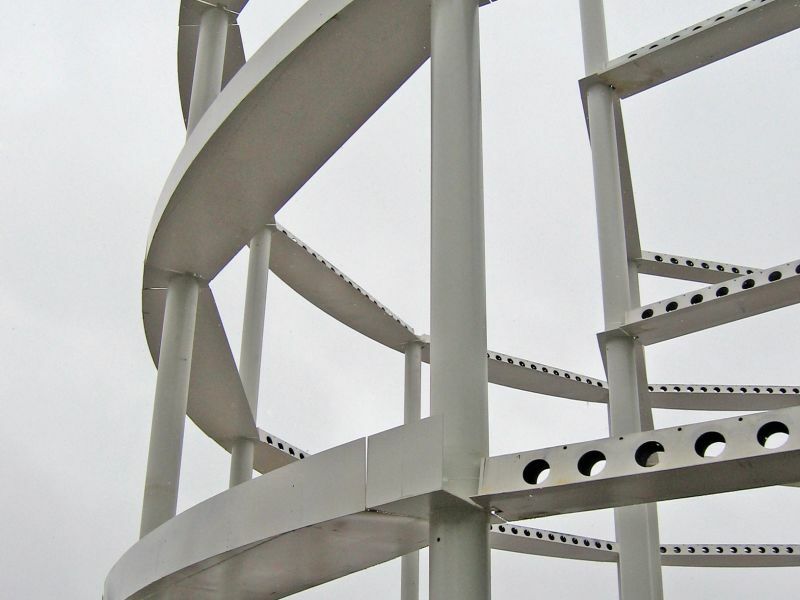 The building extended up to three floors, from where the idea of the cylinder shape slowly started to emerge", Mr. Majamaa says describing the early stages of the design work. According to Mr. Majamaa, the client wanted a HiTech solution to match its image. 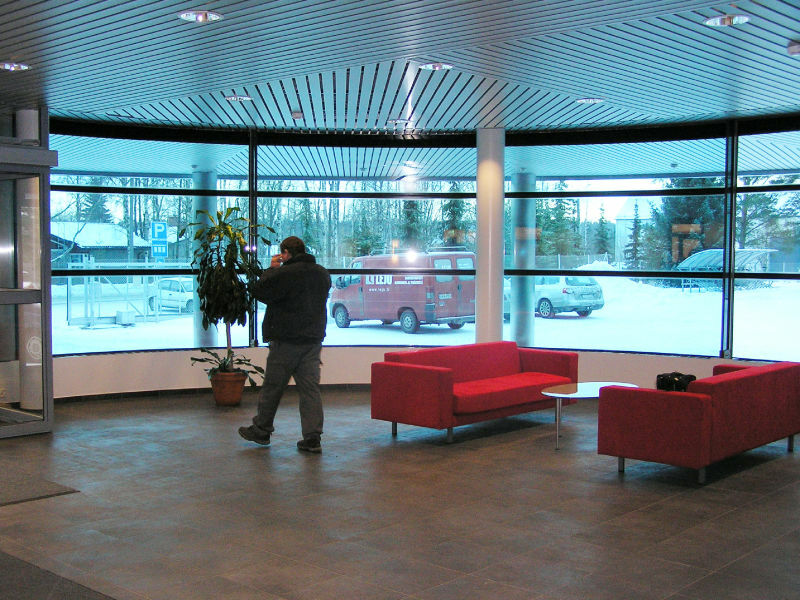 The round façade made of glass is just that, a seamless, mouldingless façade made of heated glass panes unique in Finland. The windowpanes are also the main source of heat of the entire entrance hall. "The end results seems to become a business card of the company, just as we planned", says Mr. Majamaa, satisfied. 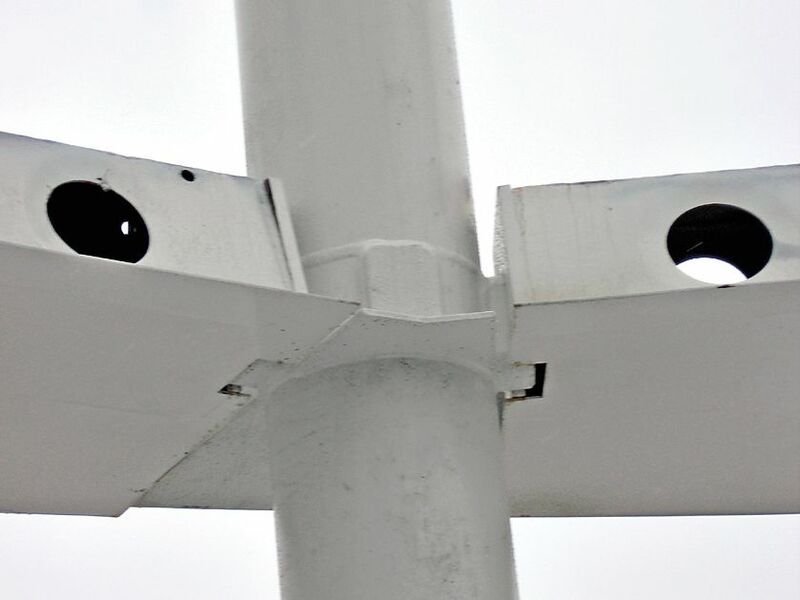 According to Yrjö Majamaa, DELTABEAM®s are excellently suited to the site, because they can be used to build a durable, ‘invisible' and light frame. "The end result would have been more robust if concrete beams had been used", Mr. Majamaa says. According to Mr. Majamaa, the structural engineering office was fully responsible for the design of the framework structures. The greatest challenges of his work were to ensure the functionality of the site and matching the new entrance with the existing building. At the end of the day, the new entrance hall with office and meeting premises is only one tenth of the total surface of the building. "We were able to utilise the round shape without wasting space. The cost estimate made at the beginning of the design stage also held during the process", says Mr. Majamaa, happily. 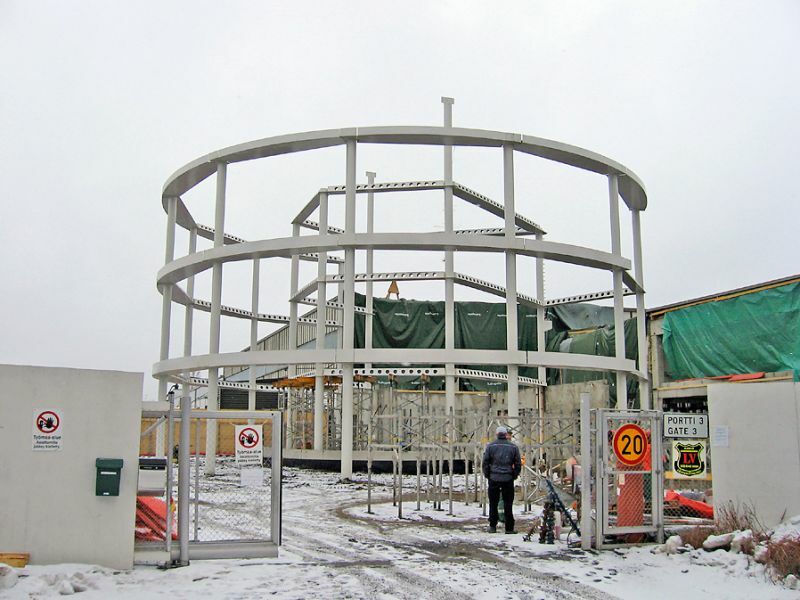 Engineering office H. Koivikko and its subsidiary SuunnitteluKortes were responsible for the structural design of Tamglass' new entrance. Mr. Pasi Hamppula, responsible for the structural engineering of the steel structures, says he sweat a couple of extra litres during the spring and summer when figuring out the solution to the round shape. "The round shape posed new challenges to structural design because ready-made glass elements cannot be transformed on site. Design of a usual, rectangular site would have surely taken only half the time", Mr. Hamppula says, smiling. During the busiest periods, Mr. Hamppula and the engineers of Peikko communicated with each other several times a day. According to him, both the running of the project and co-operation with Peikko were smooth. "At first, we discussed whether Peikko was able to deliver beams of special dimensions, but Mr. Tero Ollikainen assured that they can. 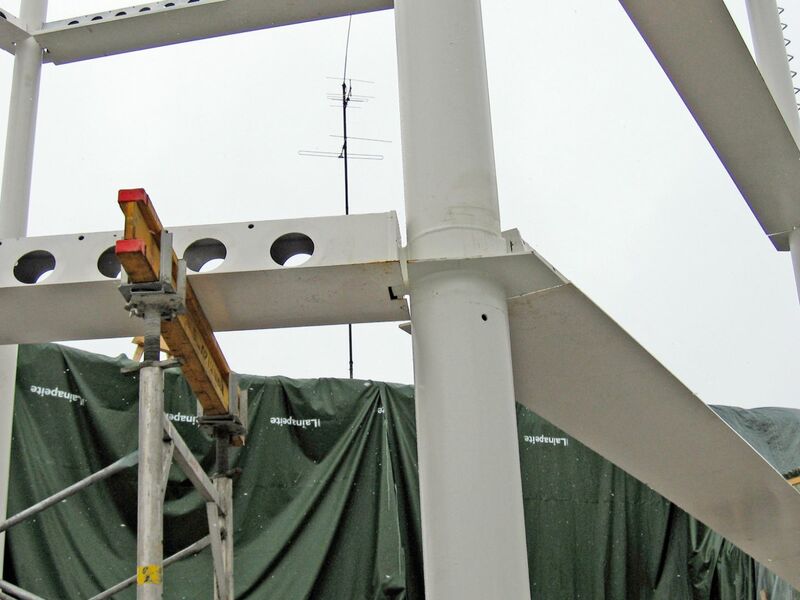 In the end, the additional flange welded to the beam is almost invisible", Mr. Hamppula says. According to Mr. Hamppula, the Peikko team also calculated, among others, the edge sheet support for beams and required reinforcement. Apart from a couple of installation drawings, Mr. Hamppula has completed his part of the project, which started at the turn of the year. "To conclude, architects do come up with all kinds of funny ideas, he says", grinning.